I have often been accused of advising Nigerians to invest in stocks even when the odds were against the market; why didn’t you blow the trumpet and tell people to move their funds out of the market before a crash was same questions but in the mouth of many to me. I have had to also cope with quite a number of people who would not hesitate to shifting blames of their losses on me. Poor me! Only very few had taken the time to remember the number of times I told them to invest in penny stocks that later grew to become huge naira. Some of those who are shifting blames are also those who borrowed to do margin and lost regardless of my writings against the concept for more than one month in 2006; I even went further to hold a workshop to open investors’ eyes to the danger in 2007. I’m not perturbed in any way and I don’t see myself telling people to move their funds away from the market at any point in time because of my understanding that the stock market is a system where money could be made and lost just like any venture in life. For example, politics is a venture; Politicians do go borrowing, sell personal and family assets to contest elections and lost; does that make politics a no go area? Of course there’s nothing you can tell a Politician not to get involved anymore. Child bearing is a venture; women do go into conception and some passed on during child labour; does that make pregnancy a taboo for women? Marriage is a risky affair where many women had lost their live in the hands of deadly husbands and vice versa. Would the news of such that we daily hear also make even parents counsel their kids not to marry? Our ladies still very much get impatient when they’re approaching the age of thirty and there’s no suitor. Don’t we daily see on our television screen men of God who are marriage miracle workers of some sort? Need I tell you more? Accidents occur on our roads on daily basis; that stop people from driving? Haba! Why then don’t we all park our vehicles and return to the ‘early-man’ days where our fore fathers trekked distances? If we daily see losses in life, if we daily risk our lives in order to live, if we daily bear pains and agonies to live why then the issue of the stock market different? I don’t see myself telling anyone not to invest again because this is about the only thing I know how to tell people to do to make money. Besides the market, I don’t know what else to tell people to do any more hence, I’m ready to bear the accusations no matter how severe. But let me tell you why I’m this resolute; It is because I have met lots of business people who have negative stories to tell about other forms of businesses hence, I arrived at a conclusion that the market isn’t the only venture that can ruin or that can erode capital. In the middle of even the worst crash that the Nigerian market had ever encountered in its history, a young man and his wife strolled into my office just a few months ago; I was embarrassed seeing this tall man going flat on the floor prostrating for a man of my height with his wife on her two kneels; guess what? According to the man, I had told him to go buy a specific petroleum stock and he rightly did, sold and started a new business which today is thriving. But for that, his marriage plans would have been practically unachievable. That family may be one in thousands you may say and I’ll agree with you but then I will say then that for those of us who failed, for those of us who lost money in the market; have we checked our strategies? May be we need a change of attitude and look back to see where we fell, make adjustments and gather the remnant of our lives together and restart for since many stopped investing in the market, the doors of the stock exchange have remained opened except on public holidays. Hello, I know that our market as we speak is dancing in fear of elections 2019, which is nothing but a part of the risks in equity investment so that we can at another time work against that too. What I’m I saying in summary? Like one of my mothers in stocks who I do call ‘Mama Alo’ would always say, ‘the business that does not mare you cannot make you; the stock market had pulled me down so it will make me again’ and you know what? Regardless of all the losses even at an advanced stage of life, mama never developed hypertension; neither is she thinking of quitting. If mama is still bouncing at the market arena with vigour and faith at that age, why should a man such as I quit and why should you too? All we need is to study better, learn from the mistakes of the immediate and remote past and renew our strength and faith in the market, become resolute that this same market that has made us fall would raise us again so let me make an open vow here. I do often see negative headlines on some newspapers creating fears in people, telling us how much the market had lost and all those all in the name of objectivity; for as long as I remain the publisher here and I’m alive to my responsibilities and with the support of my entire team, we would rather consider how to manage situations and soothe strained nerves instead of adding pepper to injuries. Hello, it is not all about what the market had lost and is still losing but how the market can recover, it is all about what the market can gain again, it is all about the continuity of the market. This is my solemn vow. So help me God. To this end, what next do I think should be? So let’s discuss. First, I will counsel that you should not be deterred with the profit taking in the last few days of January 2019. The first day of February was favourable. This week might be topsy turvy but the market will also scale through. Let’s now go into the discussion for the day. Equities on the floor of the Nigerian stock exchange could be grouped in three so let’s consider how to invest in each of the groups though what I intend to do is apply my categorisation to different industries within the market over the next couple of weeks so that you can in actual fact see how to select or play in each of those industries but today, let’s do a general thing. Please understand that if you get your bearing right, money is makeable in all market situations- good or bad. Why? Very simple, after the elections, market will remain strong and agile. To get the best of this category of stocks, there are basically two methods to apply and these are technical analysis tools and quarterly or full year results’ forecast against release dates. I tell you, if you can get these right, your losses would be low if at all. You see, I talk about technical analysis so that you will know what the outlook of a stock is in the short term so that you may wish to bail out or stay. You would need the quarterly results’ forecast and release date so that you can keep your gaze on the short to medium term performances of those equities and take your decisions. People have often said that the market is the best for the long term, except what they are saying is that you buy and hold forever, my fundamental believe is that every long term will become short at a point in time just as it is a believe in ‘Abayonomics’ that all ordinary shares would one day exchange hands no matter how long so you’ve got two key assignments here which area, learning to use technical analysis tools and getting the data on earnings with which you can make forecasts. Please note that our organisation can be of assistance here so feel free to contact us. May I say this that investing in stocks that are commanding current high prices in a depleted market requires a measure of caution because the percentage price appreciation of such even when the market eventually recovers fully is slim in the sense that early birds who took bold steps in entering into these stocks when the odds were totally against the market will remain the beneficiaries. If you can’t wait, then discover your own next conqueror stocks and these are in the next category which is the battle ground. Not to waste your time. The way to play among stocks within this category is to first carry out a simple comparative analysis of figures and what figures are you interested in? Consider the current prices and relate with current earnings and when I say earnings here I’m talking about full year earnings and subsequent quarterly earnings, what you get is the price to earnings ratio right? What else to consider thereafter would be the consistency in the earnings and this may have to take you back a little to see how well the prices of the stocks had plummeted against the performances of the companies as reflected in the earnings; now let me ask you. What do you think you should do when you find a stock whose price had depreciated by almost seventy percent in the face of one hundred percent increase in earning and consistent dividend payout? What if the bad market makes the price to dip further while earning remains on the green side? You sure know what to do for that is how to play in this group. I guess all you need to be sure of is that the books are not being cooked and that the industry is not prone to ‘nationalisation’. Frankly speaking, among equities in this group you can find those you may want to invest in and hold for a while thereby allowing time to pay you. You might also consult our fundamental analysis columns to guide you besides; our organisation can also be of help. Meanwhile, in weeks to come on this column, we shall be working on these stocks on industry by industry basis. Just keep on. And now, to our dear once upon a time so good and attractive penny stocks. What should you do to them? Like I’ve written on many occasions, penny stocks are always profitable in a bull market and of course the reverse is the case when the market turns south. Truth is that quite a number of them would largely remain low even when there’s a recovery and would remain a ‘no go’ area owing to their peculiar situations. A company where the key Managers chose to buy assets in personal names with company money without being brought to book shouldn’t attract you; you shouldn’t be investing in companies where the key Managers chose to waste resources by deviating from the company’s core business, entered into a totally strange business all in the name of diversification; can you imagine a core computer company going into film production? Total waste, right? But do you really need me to point at all these kinds of companies before you note them? It is very easy for unlearned stock commentators to tell you to consider low prices and buy forever but hello, current situations had taught us how not to invest in any market situation. However, a few of these equities may be worth your considerations using the figures as earlier stated in the battle ground category. At any point in time, there would be reasons to invest and keep investing. Of course, there are bound to be reasons against the market too. Let’s see what factors are in favour of the market. ELECTIONS 2019: Electioneering processes in every nation of the world are always tough because politics is nothing other than the game of power. Impacts of such on stock prices and general market performances, positive or otherwise are often short lived because elections are often not daily affairs unlike stock price changes. In other words, normalcy will always return after every election no matter the severity of the contest. To this end, price rally in response to election spending soon do ease after the elections and the new government settles to implement policies which in turn will lead to more permanent trend. in the same vein, price shed relating to unsavoury electoral processes are bound also to reverse when elections that are expected to end in chaos eventually end peacefully. 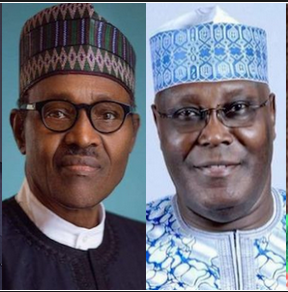 The latter is the possibility in the Nigerian presidential elections slated for February 16, 2019 for which reason, the Nigerian bourse had seen low levels. 2018 FULL YEAR EARNINGS RELEASE: From indications, full year results will hit the market earlier than expected this year. To position, you will need to lay hold on the first three results the companies you have interest in had released. Take the average of the earnings to make a forecast of what full year earnings possibilities are. Your best bets are stocks with current low price having been pulled down by election fears but with good earnings forecast and dividend possibilities.